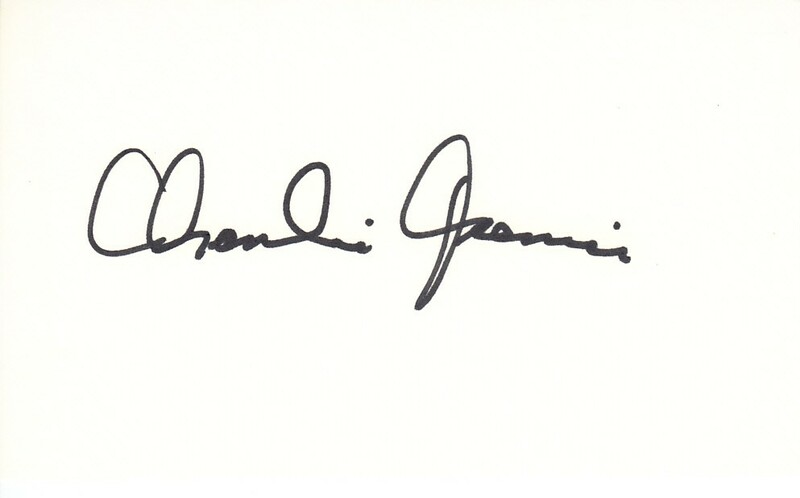 3x5 inch unlined index card autographed in black marker by San Diego Chargers Hall of Fame wide receiver Charlie Joiner. Obtained in person at celebrity golf tournament. Authenticated by JSA with their Stamp of Approval unnumbered sticker on the back, and certificate of authenticity from AutographsForSale.com. ONLY ONE AVAILABLE FOR SALE.